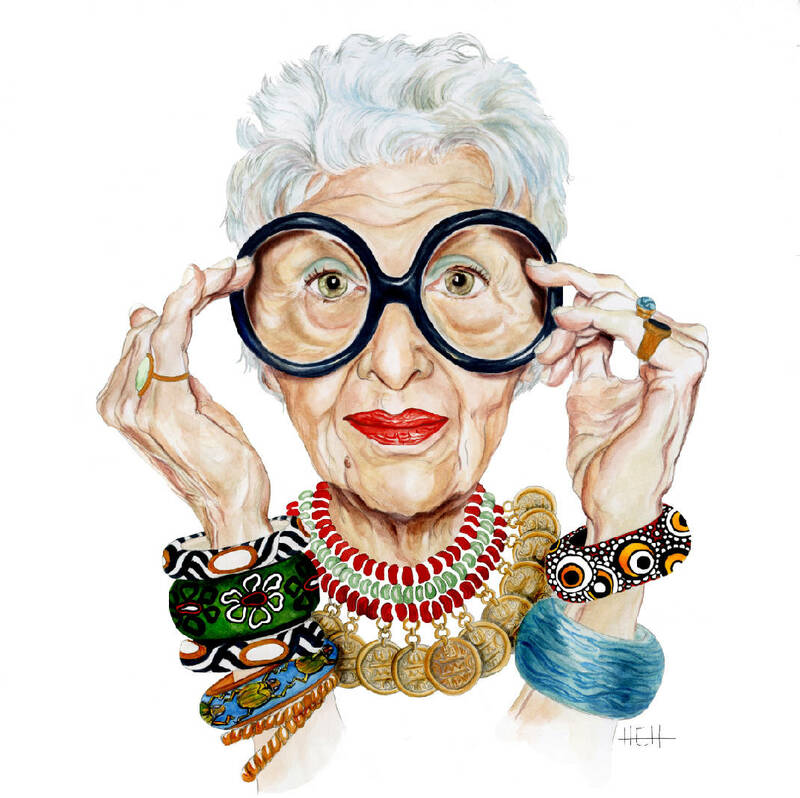 Hallie Heald's portrait of Iris Apfel, a New York City businesswoman, interior designer and fashion icon. › What: Book signing for “The Women Who Made New York” illustrated by Hallie Heald. › When: 1-3 p.m. today, Dec. 15. › Where: Volunteer Building, Suite 210, 832 Georgia Ave.
Hallie Heald, a 2010 graduate of Girls Preparatory School, created the 24 illustrations in "The Women Who Made New York." Previously, the 24-year-old has worked in visual display for Anthropologie, been a design intern for fashion designer Nanette Lepore and a henna tattoo artist for three months. 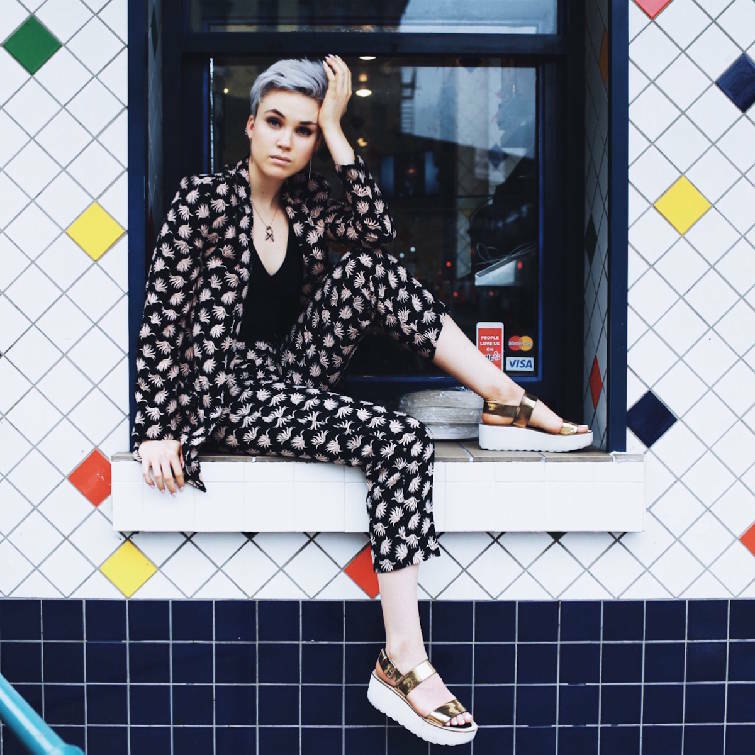 She is now self-employed as a freelance stylist and an illustrator for Darling magazine. Artist Hallie Heald and writer Julie Scelfo had never met before they were hired by the executive editor of Seal Press in New York City to bring to reality a book she envisioned. "We met up at a coffee shop, and Julie told me as much as she knew to get me started. We emailed back and forth daily but only met one other time," says Heald, 24, a 2010 graduate of Girls Preparatory School and daughter of Daryl and Cathy Heald. Six months later, their collaboration went to press, culminating in the release of "The Women Who Made New York" on Oct. 25. The book is a who's who of 126 of the Big Apple's female icons, artists, politicians and trailblazers — or, as designer Zac Posen calls them in a review of the book, "My Muses." Heald illustrates 24 of them, along with designing the cover art. Heald is in town today, Dec. 15, for a book signing from 1 to 3 p.m. in Suite 210 of the Volunteer Building, 832 Georgia Ave. It is hosted by JumpFund, which partner Betsy Brown describes as "an angel investment fund focused on investing in female-led businesses." "Since the fund only invests in high-growth ventures in the tech, life sciences and consumer products sectors, the partnership with Hallie is unique. I wanted to share Hallie's talents with our network within the Chattanooga community. We are celebrating Hallie as she launches her new artistic ventures and shares her talents across the country," Brown explains. Since moving to New York, Heald has worked in visual display for Anthropologie, been a design intern for fashion designer Nanette Lepore and a henna tattoo artist for three months. She is now self-employed as a freelance stylist and an illustrator for Darling magazine. "The Women Who Made New York" includes biographies on legends such as Brooke Astor, Ella Fitzgerald, Jackie Kennedy Onassis and Anna Wintour as well as lesser-known heroines such as Emily Warren Roebling, who completed construction of the Brooklyn Bridge when her engineer husband became ill.
"The New York Times describes Heald's illustrations as "romantic," but they bear a caricature's edge as well in the subjects' exaggerated facial features. "I kind of see magical realism: very vibrant, very detailed," says Heald of her illustrations. "All my focus is on capturing a portion of that person's spirit, especially the eyes. I would watch documentaries and interviews, listen to podcasts, look at pictures of them through the years, then pick an expression I thought best represented them." In Heald's cover art, the Statue of Liberty rocks a rose-and-compass tattoo, the final choice of 25 versions she drew of Lady Liberty. "I drew full-sleeve, some with anchors and compasses, some traditional tattoos. We wanted it to be reflective of the iconic statue but have a flair to it. She also has on lipstick, a beauty mark and her hair is rockabilly," Heald adds. The artist says the reactions of readers who have known the women she illustrated have validated her efforts. "It's been quite exciting and cool to see reactions of women who are older and know some of these women in the book see them get recognized. I feel more a part of New York now getting to know these women after studying them for so long. These are women who paved the way for women my age," says Heald.